Make a Preschool Cupcake Craft to Celebrate... Everything! Home » Make a Preschool Cupcake Craft to Celebrate… Everything! 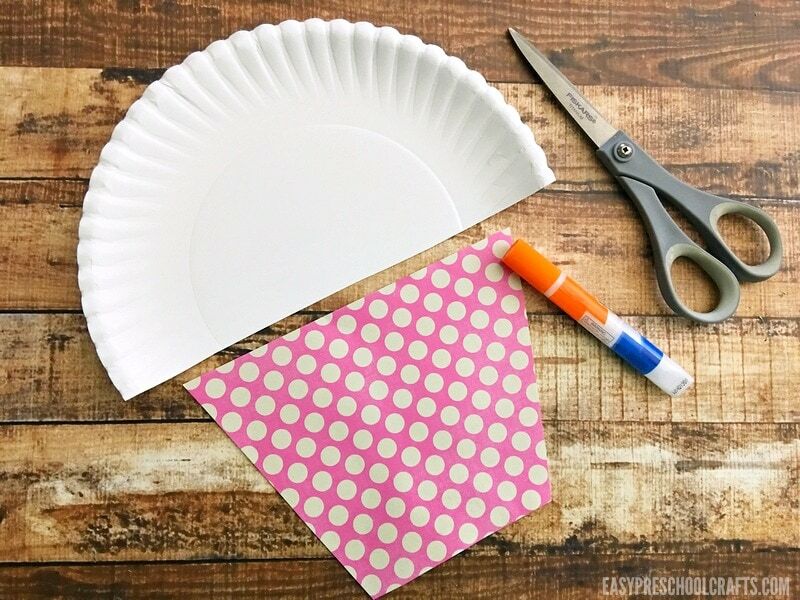 As you might know, we love paper plate crafts! I think that I love how versatile they are. You can make almost any craft theme using paper plates including this adorable cupcake craft! 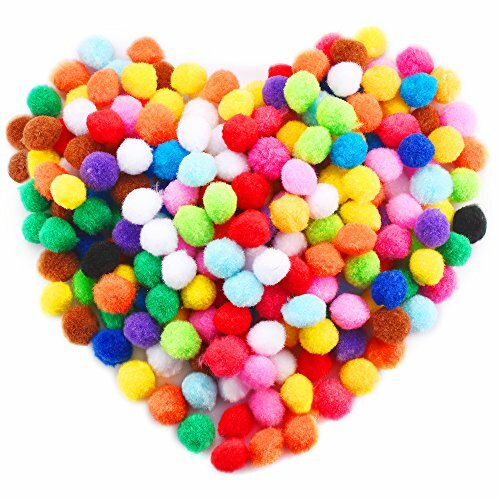 This is a fun craft to make with your kids when they have a birthday coming up. 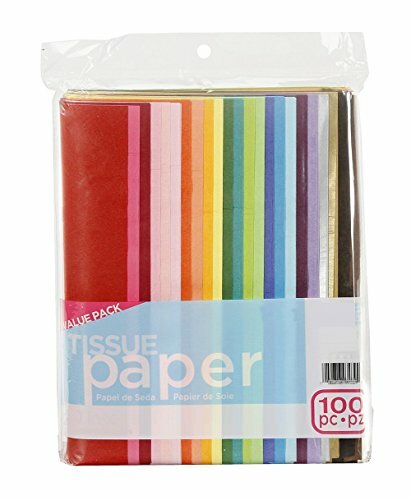 You can also choose different colored tissue paper to make it a seasonal craft. 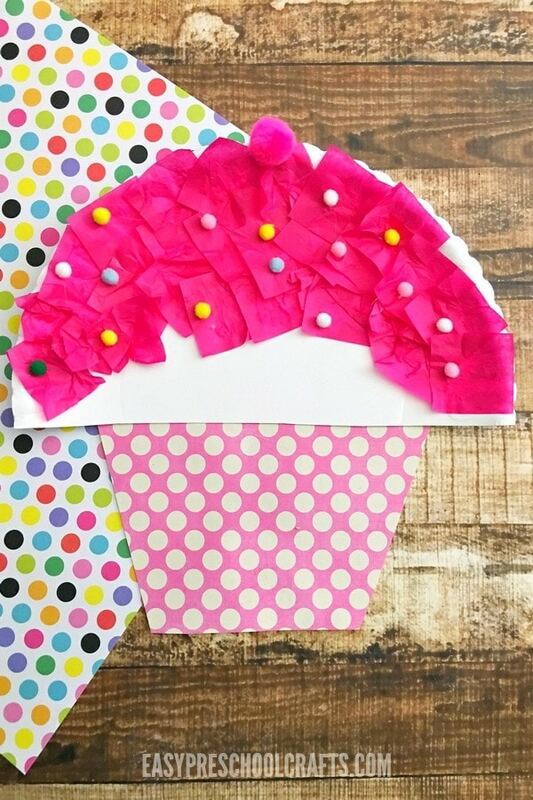 While paper plates can be used in so many different ways, this preschool cupcake craft is also extremely versatile because it can really be adapted to almost any celebration! 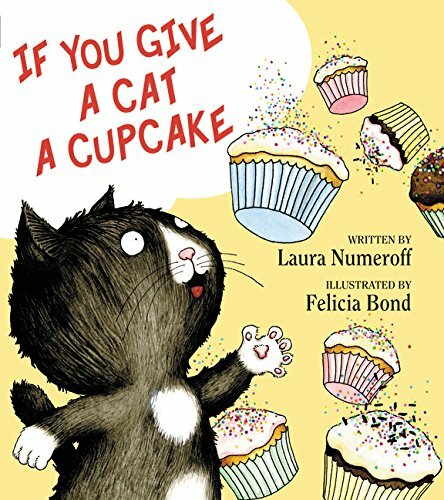 This cupcake craft is a great one to pair with the book, “If You Give a Cat a Cupcake” by Laura Numeroff! You can buy a copy of the book if you don’t have one because it’s a great book for preschoolers. Even older kids love it! But this is a great craft for birthdays too! Or for cupcake fans! I know I’m a huge cupcake fan so making a cute crafty version is something I’m always up for and my daughter agrees! So we love reading the book together and then making our own If You Give a Cat a Cupcake craft! This craft calls for a pretty basic list of materials and you might even have most of them already in your craft supplies! 2. Cut a large square from the scrapbook paper and then cut two sides to make it a trapezoid shape. 3. Cut the long side of the trapezoid to be shorter than the straight edge of the paper plate. 4. 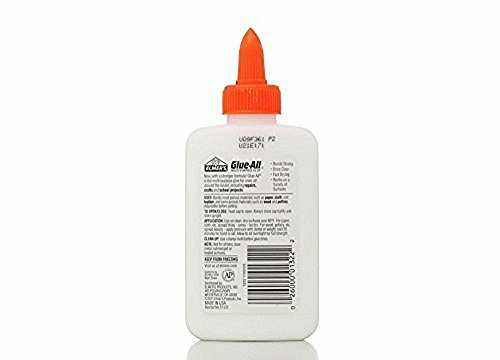 Spread glue along the rounded top of the paper plate. 5. 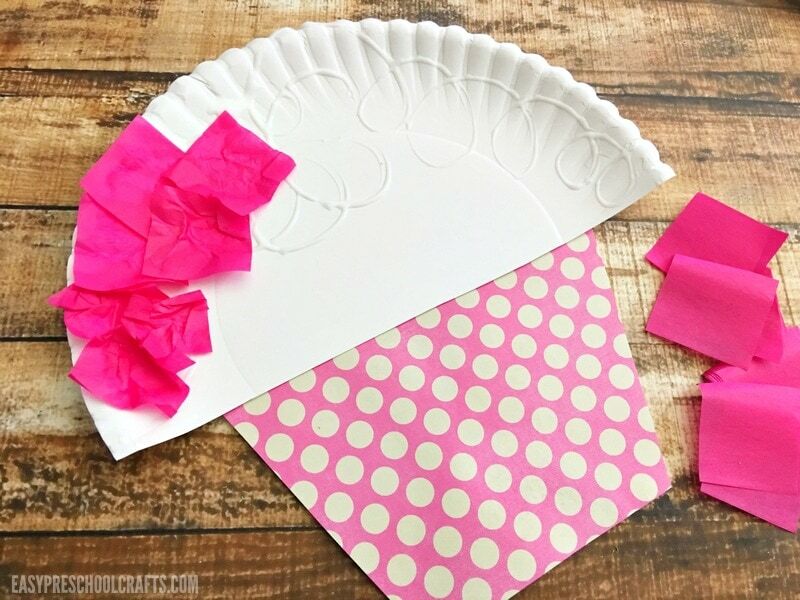 Press pink tissue paper squares onto the paper plate to look like frosting. 6. Using dots of glue, stick the mini pom poms all over the top of the pink “frosting” to be sprinkles. 7. 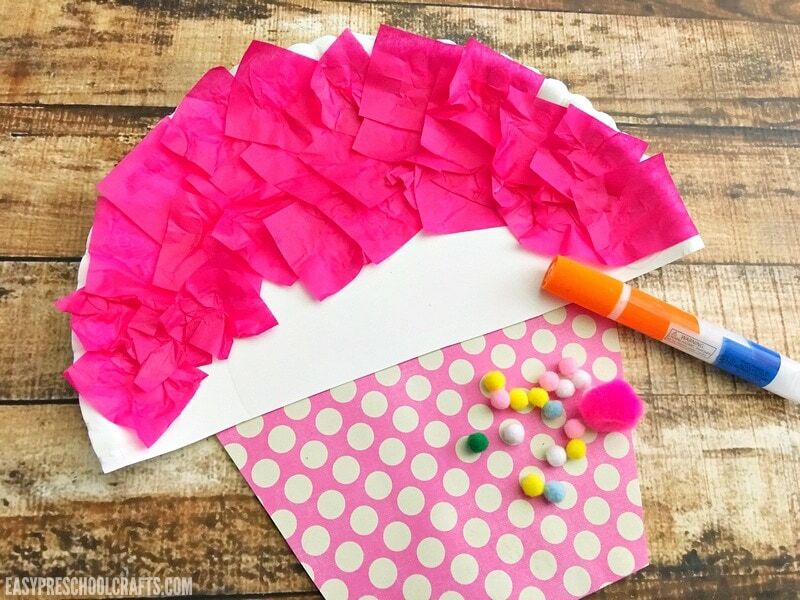 Glue the larger pom pom in the center of the top of the round edge of the paper plate to be the cherry on top! 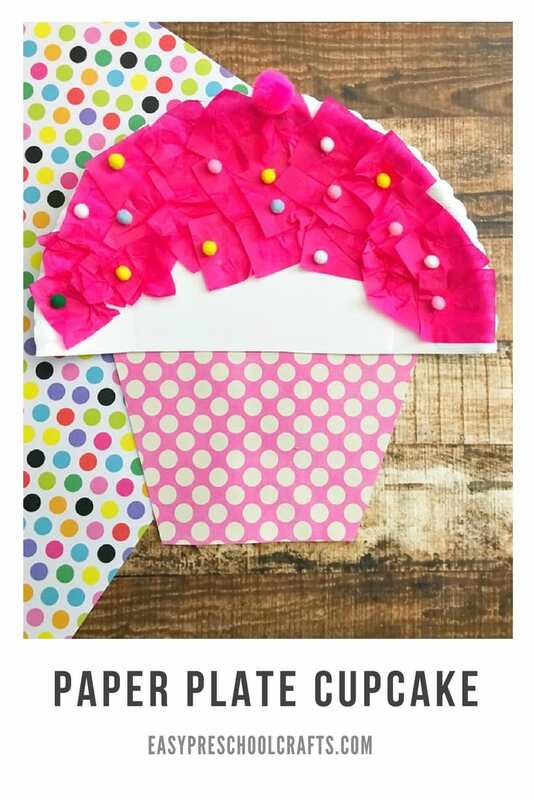 You can use smaller paper plates to make your cupcake craft into one that is closer to the size of a real cupcake. Or you can use the smaller paper plates and make a dozen adorable cupcakes using different colored papers. 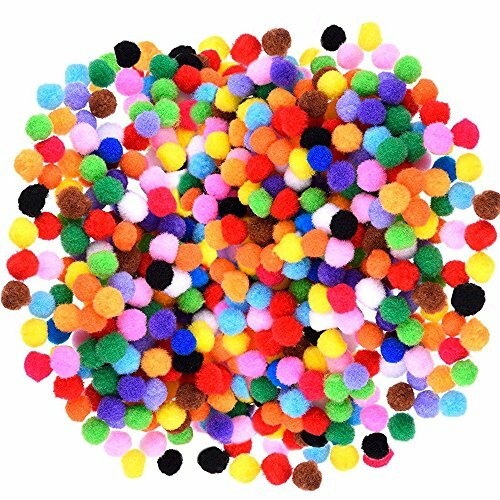 If you don’t have any pom poms, you can also use things like sequins or even stickers for the sprinkles. 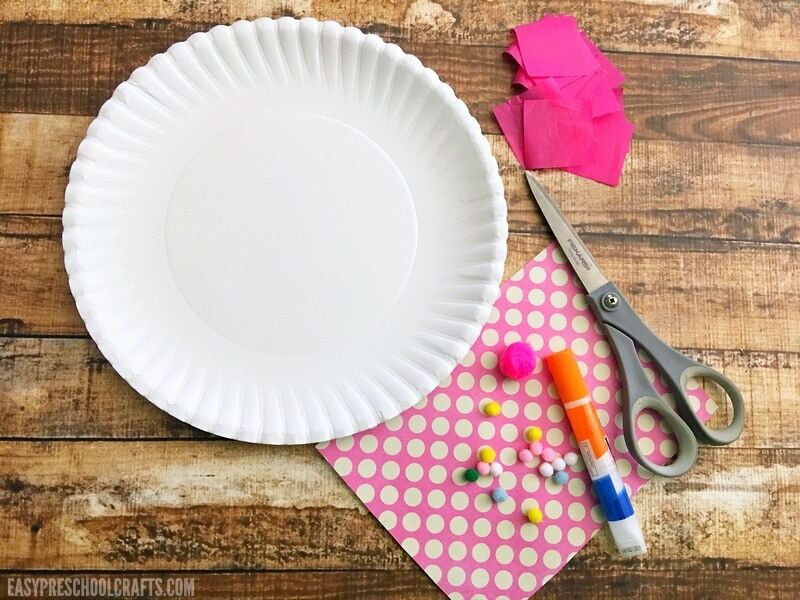 This craft is one of the most flexible paper plate crafts you can make with your kids! It’s also a great excuse for either baking some cupcakes to go along with it or heading out to buy one to share!